"Is the process of sharing information so as to ensure consistency between redundant resources, such as processes, storage devices and systems, etcetera. 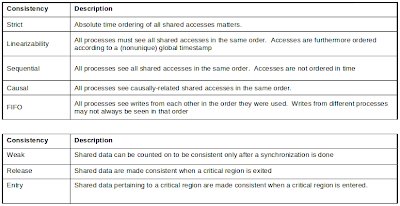 The same data is shared and/or stored in several devices. The replication itself should be transparent to an external user. 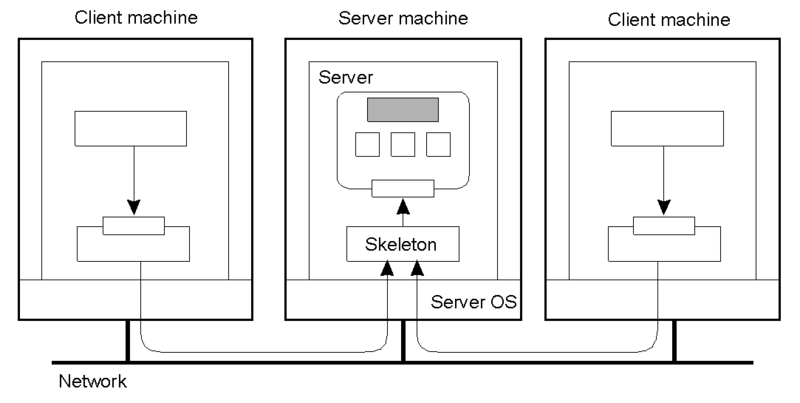 Also, in a failure scenario, a failover of replicas is hidden as much as possible. " Active: is performed by processing the same request at every replica. 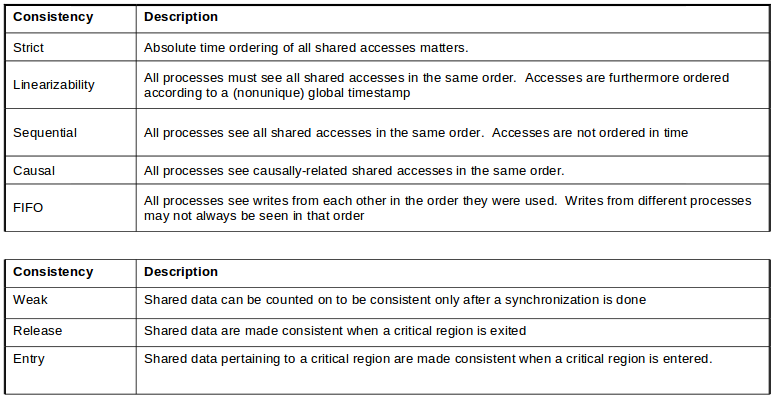 Passive: each single request is processed on a single replica and then its state is transferred to the other replicas. If one replica is unavailable or crashes, use another. 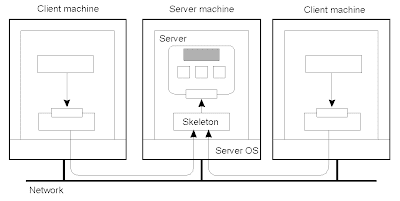 Scale with size of the distributed system (replicated web servers). Key issue: need to maintain consistency of replicated data. Is the process of keep the same information in all the systems all the time. Modifications have to be carried out on all copies. It is needed to handling concurrency. Casual Consistency: Writes that are potentially casually related must be seen by all processes in the same order. Concurrent writes may be seen in a different order on different machines. FIFO Consistency: Writes done by a single process are seen by all other processes in the order in which they were issued, but writes from different processes may be seen in a different order by different processes. Strict Consistency: Any read always returns the result of the most recent write, implicitly assumes the presence of a global clock. A write is immediately visible to all processes.